The Shenzen Symphony Orchestra played at the Kennedy Center for several nights of performances to ring in the Year of the Monkey. Honestly, I bought the ticket because it was immensely cheap, but it turned out to be a great night. Some music based on regional folk music by Yuankai Bao was a great listen. Bucolic, pastoral, folksy. Very enjoyable. 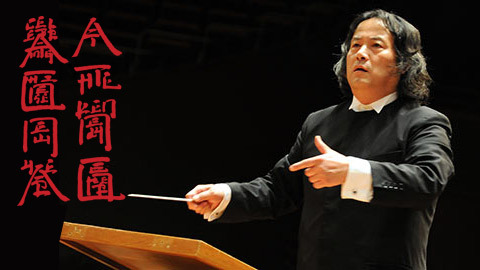 The Yellow River Concerto by Xinghai Xian left me a little underwhelmed though. Violinist Dan Zhu was absolutely amazing. He played in Carmen Fantasie (if you’ve heard that famous Carmen music on NPR, it probably wasn’t from the original opera, but one of two orchestral arrangements on themes from Carmen; this was the one by Franz Waxman) and his bowing was wonderful powerfully and masculine. The Peony Pavilion is a Kunqu Opera. I’d never heard of it either. It’s something between western opera and Chinese opera and musical theater. Some of the singing by the male lead was done in a falsetto that sounded odd to my ears and to many of the other in the audience (but that doesn’t excuse some of the juvenile responses; thought folks get a pass for giggling at some of the lines: Let me shower your thirsting flower is not subtle innuendo). And then there were excerpts from Turandot. Even if you’re not an opera fan (and I am an opera fan), it’s hard not to be moved by a stirring, romantic aria by Puccini. It goes right to your heart and makes you want to stand up and pour it all out.